In this post, we will talk about transitive and intransitive verb and how those two differ. Let’s cut to the chase! A transitive verb requires an object. In the sentence above, carry is the transitive verb and a stick is the noun that acts as the object in that sentence. The object following the transitive verb can be a noun, phrase, or pronoun that is affected by the action of the verb. It always answers the question “What?” – What do I carry? I carry a stick. Using a transitive verb without an object will make an incomplete sentence – simply saying “I carry” without an object would not make sense. Quickanddirtytips.com has a tip for remembering the name of the verb: think of a transitive verb as transferring their action to the object. An intransitive verb don’t have a direct object receiving the action. It can be followed by an adverb or a prepositional phrase, but it can never be followed by a noun. The sentence is complete without an object. Therefore, sit is an intransitive verb. “He sits” can be followed by a prepositional phrase such as “on a wooden chair”. But using a noun immediately after the verb, e.g., “He sits a wooden chair” would make an incorrect sentence because the verb can’t take an object. However, many verbs can be both transitive or intransitive, depending on what follows them in the sentence. In one sentence, a verb may require an object, while in others it does not require an object. A few examples of verb that can be transitive and intransitive: run, play, return. In the sentence above, run acts as an intransitive verb because across the street is a prepositional phrase. Run is a transitive verb in this sentence because a stationery shop is a noun that acts as the object. If we confuse transitive and intransitive verb, our sentence may be incomplete or incorrect. Therefore, it helps to know the difference between those two kinds of verb and how to use them in a sentence. Complement is the word added to complete an incomplete sentence. Subject complement is the word that follow a linking verb and identify or describe the subject. Linking verb: is, am, are, was, were, appear, become, feel, look, remain, sound, taste, grow, etc. If the subject complement is a noun or pronoun, it is a predicate nominative. Predicate nominatives (nouns and pronouns) explain the subject or give another name for the subject. If the subject complement is an adjective, it is a predicate adjective. Predicate adjective describe the subject. noun subject complement (a gourmet) after verb be (is). noun subject complement (a gourmet) after linking verb (became). adjective subject complement (delicious) after verb of being (are). adjective subject complement (delicious) after linking verb (taste). Task: Find the subject complement. Hint: look for the linking verb to help you find the subject complement. 2. Some caterpillars become butterflies. 4. The man became furious at the delay. 5. The chlorine in the pool smelled harsh. 6. This bread tastes moldy to me. ‘to me’ is an adverb phrase. #EngClass: Everybody – Singular or Plural? Is ‘everybody’ singular or plural? Do you refer to ‘everyone’ with ‘him/her’ or ‘them’? Alright alright… Let’s resolve this confusion together, shall we? We use them to refer to a total number of people, things and places. We write them as one word. Some indefinite pronouns, despite the illogic, are always singular. One of them is ‘everybody’. In this particular post, we’ll specifically talk about one of the: ‘everybody’. While ‘everybody’ seems like a plural noun, since it refers to a crowd of people, it is actually a singular subject. It refers to ONE group of people. We use ‘everybody’ with singular verbs. When we want to refer back to ‘everybody’ and we don’t know if it’s a group of males or females, we use ‘him or her’ and ‘his or her’. Everybody has his or her own desk. ‘his or her’ is a singular pronoun. Okay. We hereby determine that ‘everybody’ is singular. Now, how many of you have HEARD of people referring back to ‘everybody’ by using ‘them‘? As mentioned above, despite being illogical, it is grammatically correct to treat ‘everybody’ as singular, especially in formal English. However, when people talk, logic wins, so you will hear plural pronouns such as ‘them’. We use ‘them’ in informal conversations. Everybody was putting a smile on their face. ‘their’ is a plural pronoun. Anyone confused yet? So is ‘everybody’ singular or plural? Let’s clarify things up, shall we? I hope that last image helped solve the confusion, fellas. Feel free to mention us or leave a comment if you have any question. We’ll solve it together. Adverb clauses are subordinate clauses that show relationships between ideas related to time, cause and effect, contrast and condition. After means after that moment. ‘After’ takes the present for future events and the past or past perfect for past events. After she graduates, she will get a job. Before means before that moment. ‘Before’ takes after the simple past or the present. l left before he came. When means at the moment, at that time. ‘When’ takes either the simple past or the present. 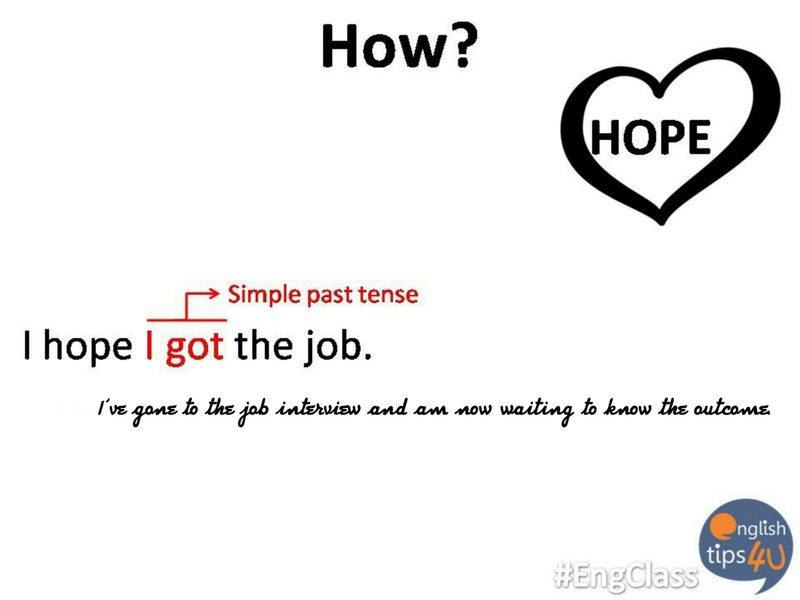 The dependent clause changes tense in relation to the when clause. When I got there, he had already left. There are others time related adverb clauses like while as, by the time, since, until, etc. Okay, why don’t you try some exercises. 1. We will finish after he ………. 2. He was talking on the phone when I ………. 3. I will leave before he ………. 4. When I was in Chicago, I ……….. the museums. 5. When it began to rain, I ………. under the tree. 6. I washed the dishes when my daughter ………. asleep. 7. When I ………. him tomorrow, I will ask him. Heyya, fellas! How did you day go? It’s only the third day of the week but I’ve heard more than enough sad news. So, wherever you are and whatever you do, fellas. Please… stay safe and healthy. And to you who’re having hard times, stay strong. Enough of the sullen mood. Let’s start today’s session, shall we? Last week, we received a question from @Chifara_. She asked about the differences between ‘so that’, ‘in order to’, and ‘to’. Instead of keeping it to ourselves, why not share it with you too? There are various ways of expressing purpose in English. We can use: ‘to’, ‘so as to‘, ‘so that‘, or ‘in order (to/that)‘. These conjunctions are used when we want to show the purpose of an action, to say WHY we did it. ‘So that’, ‘in order’, ‘so as’, and ‘to’ are used to answer the question of: WHY? They are known as ‘subordinating conjunctions’. They connect a main (independent) clause and a subordinate (dependent) clause. 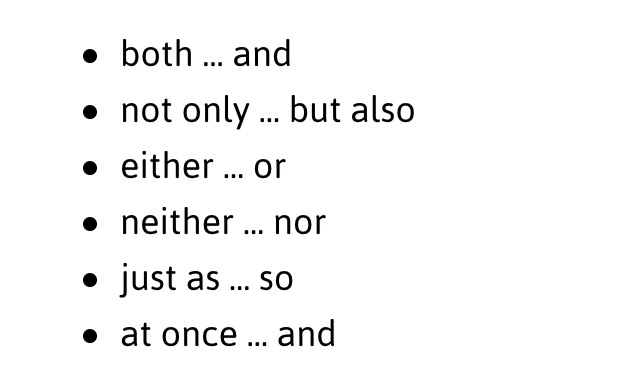 ‘Subordinating conjunction’ acts as a bridge to connect one clause to another dependent clause. In today’s session, we’ll talk a little bit more about how to use these subordinating conjunctions. A. We use ‘to’ + ‘infinitive’ to show the purpose of an action. ‘to’ + ‘infinitive’ is generally used only in affirmative statements. B. We use ‘so as to’ & ‘in order to’ to express purpose. ‘So as to’ and ‘in order to’ is often used interchangeably. In sentence, they are followed by the infinitive verbs. To form a negative statement, NOT is added right before the word TO. Again, it is then followed by the infinitive verb. The negative statement expresses that one action will help avoid having to do something else or prevent another thing happening. C. We use ‘so that’ & ‘in order that’ to say that one action makes another action possible. ‘So that’ and ‘in order that’ is generally followed by a modal. To form a negative statement, NOT is added right after modal. Again, it is then followed by the infinitive verb. We’ve now come to the end of today’s session. I hope the explanation was clear enough. If you have any question regarding today’s session, feel free to mention us and ask away. Compiled and written by @miss_qiak for @EnglishTips4U on Wednesday, October 12, 2016. Heyya, fellas! A couple of weeks ago, we received a question from @Amelia_Feehily. It’s something which I thought ought to be shared with all of you too. So, @Amelia_Feehily asked about the difference between Wish and Hope. Let’s talk about it today, shall we? “Wish” and “Hope” in English are similar, but not exactly the same. In fact, if you translate them to Bahasa Indonesia, both mean “berharap”. Despite the similar meaning, “Wish” and “Hope” are used in different circumstances. So, when do we use “Wish” and “Hope”? “Wish” often talks about regrets or wants. “Wish” is used to express desire for something that the speaker believes is impossible or unlikely to happen. “Wish” is most commonly used in hypothetical situation or imagination; something that is different from reality. “Hope” often focuses on aspirations. “Hope” is used to express desire for something that the speaker believes is possible in the future. “Hope” specify a desired outcome of future event. Or for past hopes, the outcome has usually been already determined. “Hope” is used when there’s a good chance that something might happen in the future. Before we move on to the second part of today’s discussion. Here’s something to help you summarize what we’ve discussed so far. Alright! It is time to talk about how to use “Wish” and “Hope” in a sentence. 1. “Wish” can be paired with a past perfect verb in order to express regret. 2. “Wish” can also be paired with a simple past verb or conditional modal in order to express an unreal present desire. 3. “Hope” is often used to talk about future events, situations, or actions. For a future meaning, it is paired with simple present tense. 4. “Hope” can also be used to talk about something that recently happened and will be decided in the future. Here, it is paired with the simple past tense. 5. “Wish” & “hope” can be used in expressing goodwill. 6. “Wish” & “hope” are also used in certain types of requests and pleasantries. Here’s something to summarize our discussion on how to use “wish” and “hope”. Now, we’ve come to the end of today’s session. I hope the explanation was clear enough and not too boring. Compiled and written by @miss_qiak for @EnglishTips4U on Wednesday, October 5, 2016. ‘Conjunction’ is a word used to connect clauses or sentences or to coordinate words in the same clause. ‘Although’/’even though.’ Meaning: it doesn’t matter or make a difference. ‘And.’ Meaning: non-contrasting item(s) or idea(s); in addition; extra; plus. ‘But.’ Meaning: a contrast or exception. ‘Or.’ Meaning: an alternative item or idea. ‘For.’ Meaning: is almost like because or since; it introduces, in a formal tone, a reason. ‘Nor.’ Meaning: an alternative negative idea or though. Hi, fellas! Was today a good day? Or perhaps you just went through a stressful day? I hope not, but if you happen to have had a stressful day, how about putting those stressful events behind and learn to put a stress in a word instead? Yes, today we’re going to learn about word stress. In English, we don’t pronounce every syllable (suku kata) in a word with the same strength. When saying a word, we put a stress (emphasis) in one syllable, and pronounce the other syllable(s) more quietly. Stressing a syllable means we say it a little longer or louder or with a higher pitch than the other syllables. Every English word has one stressed syllable, and it’s important to stress the right syllable when we speak. Word stress helps the listeners tell one word apart from another. For instance, if you hear two stressed syllables, you hear two words. It helps us understand a speaker who speaks very fast. Stressing the wrong syllable in a word can make the word difficult to hear, and therefore the listener can’t understand us. Stressing different syllable can even change the meaning of some words. For example, if you stress the first syllable in the word present, it’s a noun that means gift. But if you stress the second syllable (present), it becomes a verb that means to offer. But there are some exceptions and many types of words that are not covered by those rules, so you should check the dictionary to be sure. Different dictionaries have different ways to mark the stressed syllable. Now, take a look at the pronunciation guide below the defined word in your dictionary. Oxford Dictionary and Collins Dictionary: an apostrophe (‘) shows that the following syllable is stressed. Example: prəˈnaʊns means we stress the nounce in pronounce. If you think, “I can’t possibly memorize the stressed syllable for every word in the dictionary!” You’re right. Perhaps the best way is to learn by practice. If you practice listening until you’re familiar enough with spoken English, I’m sure you’ve also learned the word stress. You just don’t realize it. Fluent English speakers use word stress all the time without thinking about it. It’s kind of the same way we use intonation in our sentences in Bahasa Indonesia. So, now that we know that word stress is the key to understanding spoken English, we know why it’s important to learn English by listening. Listening can help you learn to speak English properly so that people understand you better. We actually have some #EngTips for you on that very topic: How to improve your English listening skill. I hope this post has been useful for you, fellas. Have a good day! There are numerous abbreviations which you might find in letters, especially those formal ones. Today, we’ll start with some of the most common ones. Let’s start with this blank email. As you would usually do, you type recipient’s mail address at the ‘To’ colom. Let’s say the email is for Eeny. Cc – carbon copy. This is to say that a copy of the email is also sent to the person(s) mentioned. Bcc – blind carbon copy. It indicates people who will receive a copy of the message in secret. Other recipients wouldn’t know. every other people (Eeny & Meeny) wouldn’t realize that Miny & Mo are in the know too. In emails, ‘cc’ & ‘bcc’ can normally be found at the top part of your emails.On the other hand, in written letters, cc might be positioned at the bottom. Ref – reference, with reference to. It shows which document or piece of information you are talking about. Example 3 – That is a fake reference code… just to point Eeny to the WhatsApp chat they had the night before. ASAP – as soon as possible. If you see this, sender wants something done at the earliest possible time, if not immediately. Example 4 – Here, Etifoyu is urging Eeny to reply promptly, at the earliest time. RSVP – Répondez s’I’ll vous plaît. It basically a request for a respond, in French. Example 5 – Etifoyu expects Eeny to respond soon or latest by Monday, August 1st, 2016. PS – postscriptum, postscript. Its a note added to a letter/email after the writer has signed it. Example 6 – A short note for the recipient. PPS – post postscript, additional postscript. This is for extra notes and positioned after PS. If there’s any, PS & PPS would be found after the writer’s signature. Example 7 – More short note for the recipient. Encl. – enclosed. This shows that something else is being sent with the letter/email. It’s normally placed at the bottom of the letter. Example 8 – This part list out items sent along with the letter/email. So, here’s what your email should look like now, fellas! And there goes 8 most common abbreviations in emails. I hope you find the explanations & graphics clear enough. If you have any question regarding today’s session, feel free to ask away! Some of you, by now, might have done some preps to resign from your job and hope to start a new venture next year. Well, we have discussed some strategies to resign from a job – you may see them here #EngTips: How to resign. This time, we’d like to prepare you for a job interview. Here are some tips that we have compiled for you. Sleep well to have a fresh mind in the morning. Get a haircut, shave (for men), or have some hair treatment (for women). They will add up a bit of your confidence. Clean your shoes, and iron your clothes, make sure they are wrinkle-free. Plan your trip. Go on google map to find the location and allocate enough time to travel. Don’t be late! Read carefully the desired qualifications and peruse thoroughly your CV to know how well you fit the position. Manage your CV; the succinct the better. Organize your files. Have a folder to bundle them all. Don’t include the files which are irrelevant. Get to know the company by researching its profile and culture. The culture will also determine how you should dress in the interview. Be confident. Draw your smile from the doorstep, greet the interviewer, and have a firm (not strong) handshake. Sit when you are welcome. Listen to the questions attentively and show enthusiasm. When asked, provide detail answers. Don’t forget to supply examples. Clearly state your interest and plan for the future. Think how you may contribute to the company advancement. Watch your diction. Use polite and formal language. You may send an email of gratitude to the company for having you for the interview. Today’s #EngClass will be about an important detail that you need to pay attention to when creating a sentence: Correlative Conjunction (CC). CC connects 2 equal grammatical items. Meaning? If within a sentence you used a noun before ‘either’ then you should also use a noun after ‘or’. 2. Today, we will either read a book or watch a movie. <— ‘Read’ and ‘watch’ are both verbs. 3. She likes neither to exercise nor to go out. <— ‘To exercise’ and ‘to go out’ are both Infinite Verb. Or even “She likes neither to exercise nor go out” because ‘go out’ is a Bare Infinitive Verb without the ‘to’. So whenever you are writing a sentence with CC, always make sure that they are parallel with each other. Compiled by @animenur for @EnglishTips4U on Sunday, 9 August 2015. 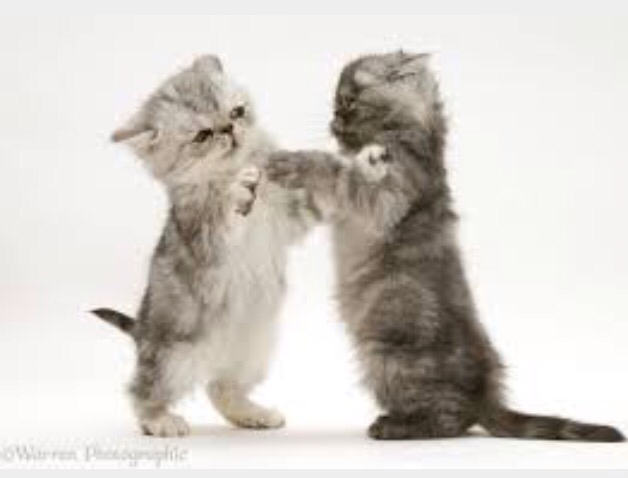 Do you think the kittens are attacking each other, or attacking one another? To answer this question correctly, first we need to understand the concept of Reciprocal Pronoun (RP). RP is when two or more subjects are doing the same thing, at the same time. For example, A is doing something to B, whilst B is also doing something to A. In the English language, there are two known RPs: Each Other and One Another. What’s the difference between Each Other and One Another? The answer is very simple. We use Each Other when there are two subjects involved (terlibat). We use One Another when there are more than two subjects involved. 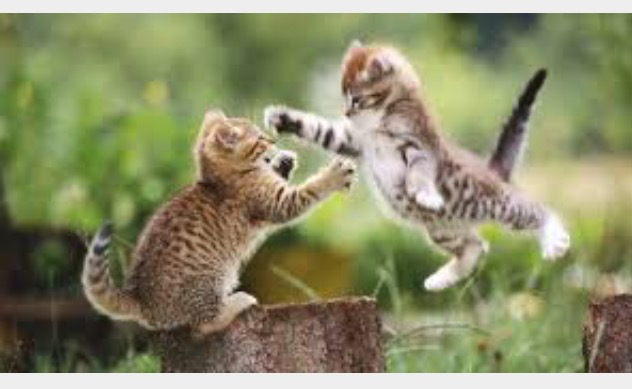 So the answer to the question will be like this: The kittens are attacking each other. However, many linguists have dissenting opinion (pendapat bertentangan) about the difference between the two. Some believes that you can use Each Other and One Another for more than 2 subjects. But generally they agreed that we use Each Other when there are only 2 subjects. So, Each Other can be used for both, whilst One Another can only be used for more than 2 subjects. Compiled by @animenur for @EnglishTips4U on Sunday, 2 August 2015. Today I would like to share a tiny bit of knowledge about grammar. But first of all, help me fill in the gap with “do” or “make”. Can you ___ the housework, please? Hmm.. The story doesn’t ___ sense. Correct! Very good! :) “@helochile18: 1. Can you “do” the housework, please? 2. Hmm.. The story doesn’t “make” sense. Have you made/ done your homework? In bahasa Indonesia: Apa kamu sudah membuat PR? Yes, you are right. :) “@rainandaindah: Have you done your homework? So, how do you know if the answer is do or make? What is the difference between the two of them? Both “do” and “make” are general verbs that can be followed by a noun or noun phrase describing some object or action. The difference: “Do” means “perform a action or activity”. Examples: do it, do good, do homework, do the washing, do a project. While: “Make” means “bring into existence”, “produce some result”. Examples: make some tea, make mistakes, make bed, make peace. Let’s do this exercise to check our understanding. :) The instruction: fill in the gap with “do” or “make”. Don’t forget to ___ the dishes after you finish your dinner. It’s difficult to ___ a living with this kind of economy. Psst. I have to ___ some talking with these people to calm them down. Are you hungry? No worries. I’ll ___ you a meal. You failed in the last interview. You have to ___ better in the next one. Can you please ___ a copy of this proposal? Thanks a lot. You can start without me. I have to ___ some work. Listen. I want to ___ a point here. I’m sorry, I can ___ nothing about it. I should ___ a phone call to cancel that order. Source: An A – Z of English Grammar & Usage by Geoffrey Leech et al. This time, I’d like to talk about grammar. In particular, we’ll talk about: Verb + Preposition (‘About’ and ‘Of’). Some verbs can be followed by either ‘about’ or ‘of.’ Each pairing usually gives different meaning from the other. “I dreamt about you last night.” (when I was asleep). “We complained to the manager about the service. English Grammar in Use (Raymond Murphy, Cambridge University Press). In this post, I’d like to talk about grammar. In particular, I’ll talk about ‘Verb + Preposition (For or From)’. Here we go! #GrammarTrivia: ‘You and I’ or ‘You and Me’? That’s right. We must first distinguish Subject Pronouns and Object Pronouns. A. To decide whether it’s ‘you and I’ or ‘you and me,’ then see if it plays the role of a subject or object in the sentence. “You and I” is the subject in the sentence. “You and me” is the object in the sentence. Important note: Never use ‘you and I’ at the end of a sentence, never use ‘you and me’ at the beginning of a sentence. B. Another way to determine whether it is ‘I’ or ‘me’ – Check the prepositions! Prepositions: At-For-With-By-To-From-Between … and many more that are most likely end with Object Pronouns! Equal treatment. Arti: diperlakukan sama. Hiyya, fellas! It seems we haven’t discussed phrasal verbs in a long time. Let’s talk about phrasal verbs with the word “Pass”. contoh: I passed the test. contoh: She passes my house on her way to school every morning. Dia lewat depan rumahku saat ke sekolah setiap pagi. contoh: Can you pass the salt, please? Bisa tolong oper (botol) garam itu? 1. Pass + away : to pass out of existence, to die, meninggal. Contoh: Gran passed away a few years ago of old age. 2. Pass + for : to be accepted as, to believed to be, dikira, dipercaya. Contoh: You could easily pass for a teenager without makeup. (a) to offer/sell an imitation as genuin, menjual benda palsu sebagai benda asli. Contoh: He was caught for passing off glass as a gemstone. (b) to present someone as other than what he/she is, berpura-pura. Contoh: He tried to pass himself off as a banker. 4. Pass + out : to lose consciousness, pingsan. Contoh: She passed out on the first day of fasting. 5. Pass + over: to leave out; disregard, mengabaikan. Contoh: Let’s pass over what he said and go home. 6. Pass + up: to let go by; reject, membiarkan lepas, menolak. Contoh: My boss just offered an opportunity too good to pass up. 1. Some of the kids ___ hungry. 2. One of the books ___ stolen. 3. Some of the student ___ nice. 4. All the equipment ___ new. Today’s topic is actually about subject-verb agreement using the expressions of quantity. Two-thirds of the pennies are mine. (pennies = plural). 2. “One of”, “each of”, and “every one of” are exceptions. They all take singular verbs. Example: One of the books is stolen. 4. “The number” is followed by plural noun and takes singular verb. Example: The number of students is twenty. 5. While “a number” is followed by plural noun and takes plural verb. Example: A number of students are in the class.